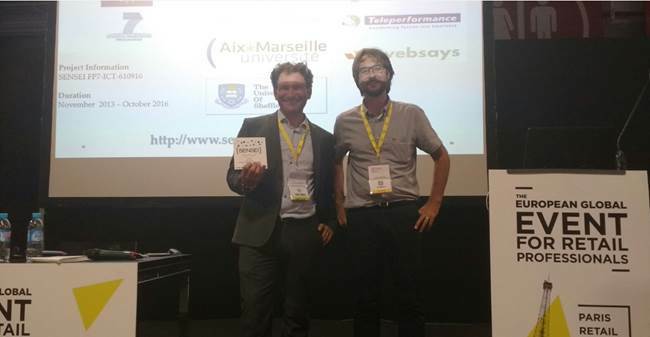 The Sensei team has participated in the international “E Commerce Customer Experience” in September in Paris, an event with over 500 companies, 4 specialized exhibition areas and a Start-Up Village. 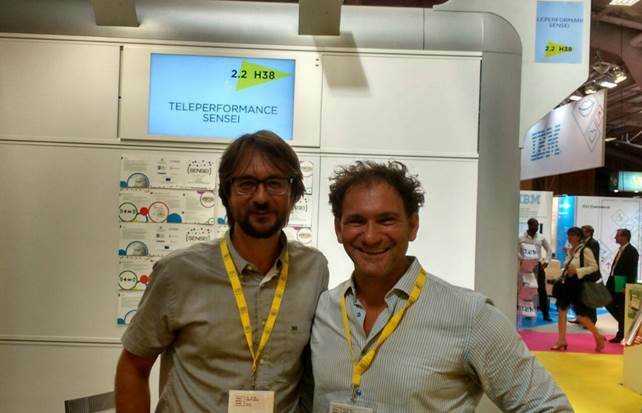 The Sensei industrial partner Teleperformance had a booth dedicated to the Sensei Project, and Hugo Zaragoza (Websays) and Vincenzo Giliberti (Teleperformance) held a very successful workshop on “Social Media + Machine Learning = A new Customer Care Experience. 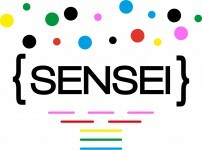 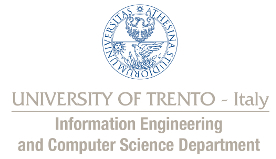 The Sensei Project.”.